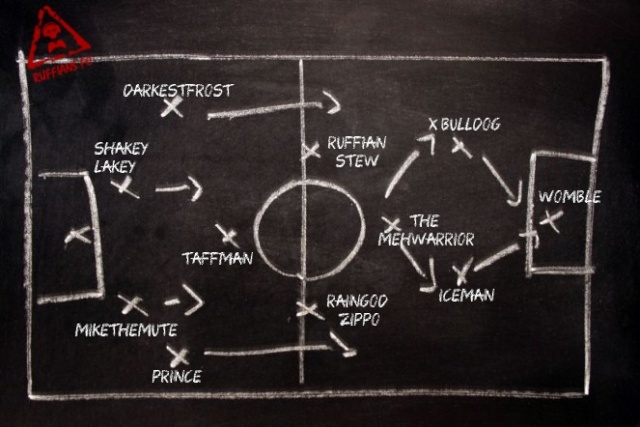 After last Wednesday's Xbox Live Issues Ruffians FC took to the pitch on a Thursday! We had a great turn out with 9 players at one point! But normality will be restored this week with Ruffians FC taking to the pitch for our usual Wednesday Fixture Night! I can't stress enough how important it is that you sign up! I don't want to have to turn people down on the night but if the team is full and you haven't signed up then that is what is going to happen!!! We have been extremely popular lately so it's even more important that people sign up! My vote goes to Wellington! I'll sign up here. If team is full (as you know I tend to game a bit later) do you kick players that haven't signed up? Darkestfrost wrote: I'll sign up here. If team is full (as you know I tend to game a bit later) do you kick players that haven't signed up? Priority will be given to the first 11 players that sign up! If you can give us an estimated time, your space in the team will be open till then! People who signed up will get the team places 1st so yes unsigned up players won't get places if the team is full. Unfortunately yeah! Which is why I make sure every Ruffians FC player gets a message through Xbox Live encouraging them to sign up.